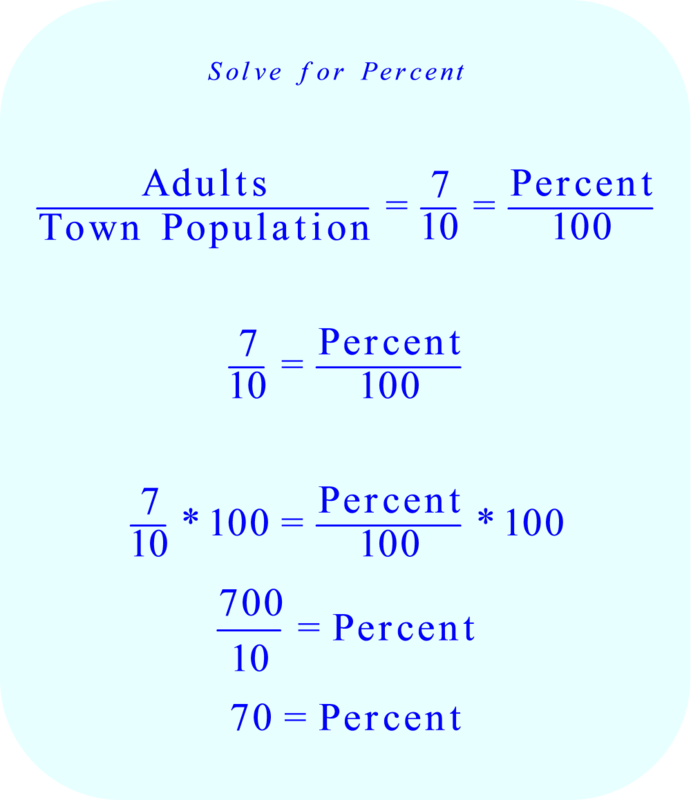 How do you find the percent of a town's population of adults when the ratio of children to adults is 3 to 7? Since the ratio of children to adults is 3 to 7, for every 10 people there are 7 adults. 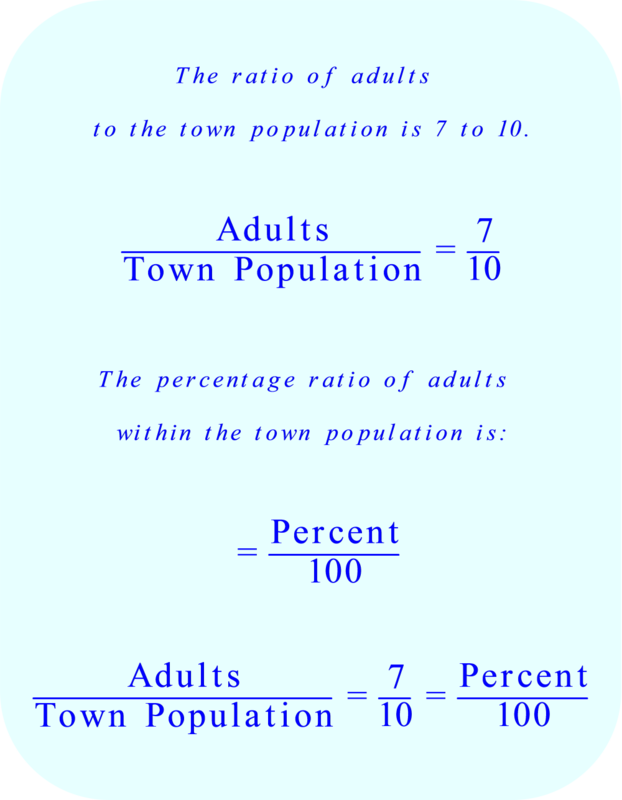 The ratio of adults within the town population is 7 to 10. 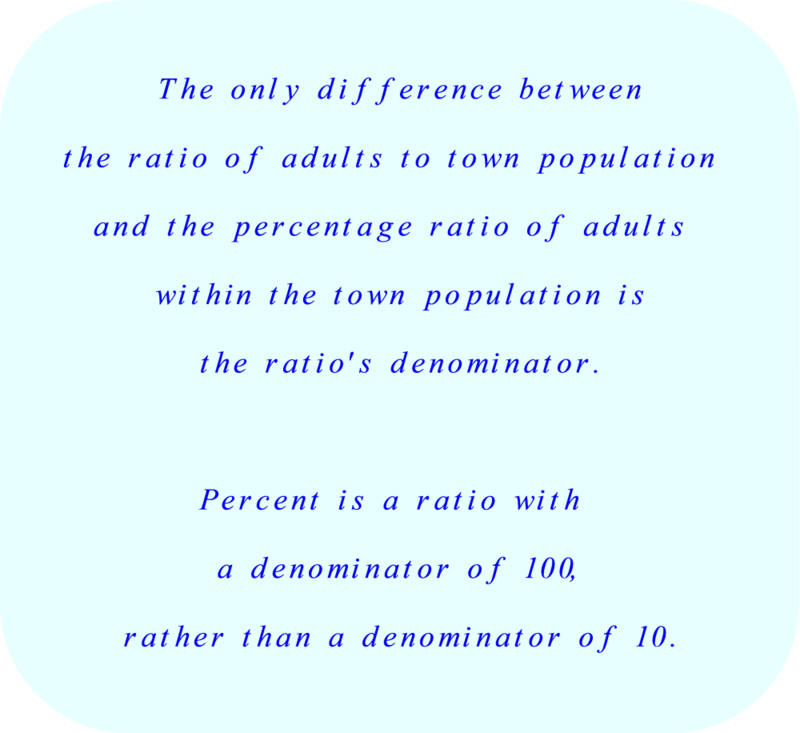 Percent is also a ratio. 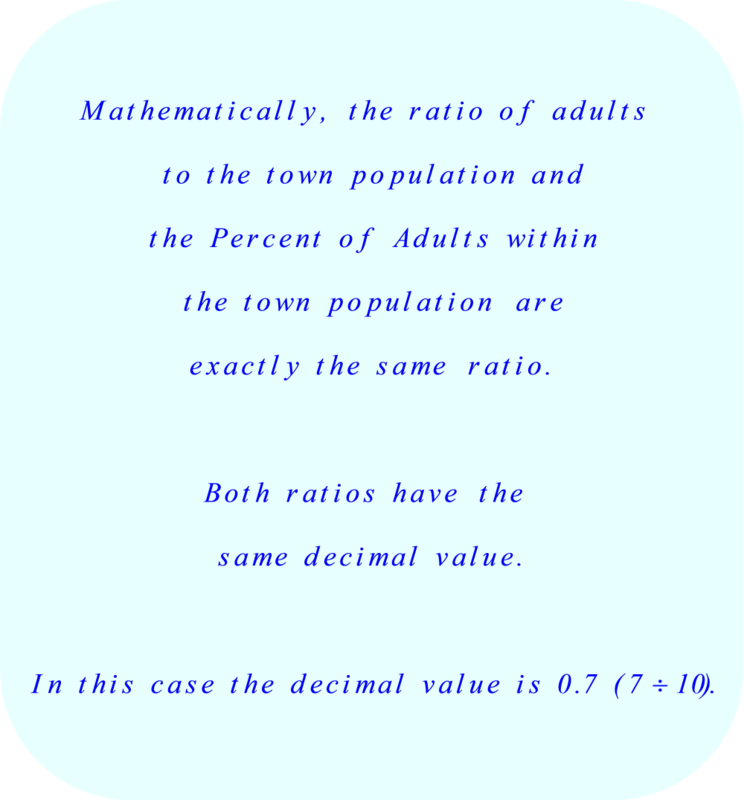 The only difference is that percent is based on a ratio with respect to the number 100, rather than the number 10. Divide 60 crayons between two pupils so that one gets twice as many as the other. how many crayons does each one get?